STCW course was held at NSTC for 5 weekdays between June19th to 25th. The training went smooth in great teamwork due to the fact all delegates belong to same company this time. 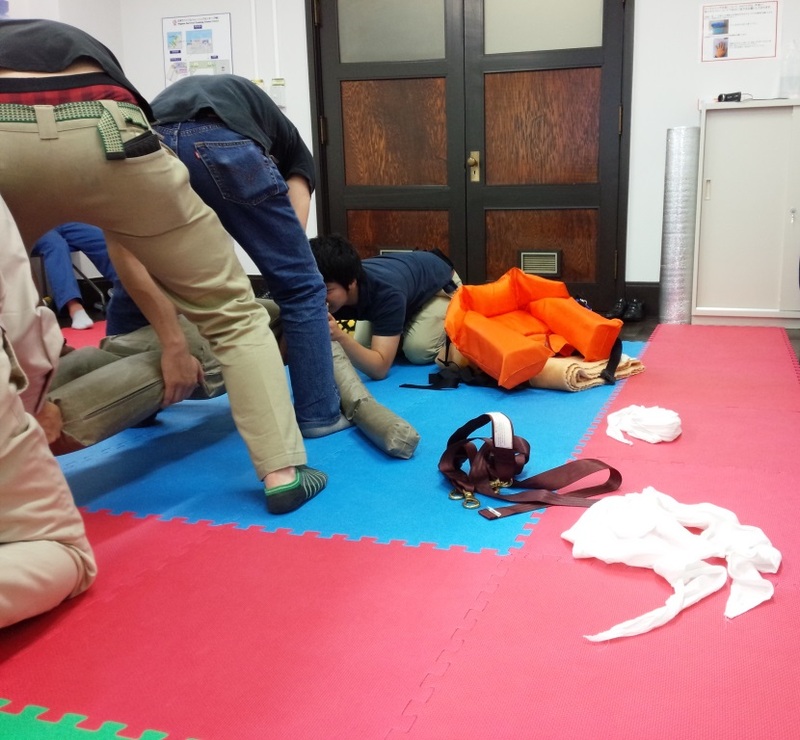 In the elementary fast-aid training, we have realistic training such as scenario based drill where you assume that you are in a ship and all you can use is what’s around you, without specialized tools, to implement emergency procedure. We would like to introduce some of comments from our delegates. From NSTC: We try to deliver the training as efficiently as possible because there are so much to teach you in 5days. This time, the training went smooth, thanks to your teamwork. We believe you experienced a lot this past week. We hope it will help your work. Thank you for taking our training course.